It is always a good idea to check out the company’s website and find out what they do. This is not only something that will help you feel ready for the interview, but it can impress your employer! One way to show that you did your research is by asking good questions from what you learned during your interview. Even if you do not have specific questions to ask, you can at least attempt to add some information you learned from the company’s website into your interview answers. Obviously, you do not want to lie or try to include everything you learned, but it is always good to include at least one piece of information, because it shows you did your research and that you are really interested in the position! Get a good night’s sleep before the day of the interview. This may seem like common sense, but try it! You will be amazed at how much this makes a difference. Eat a healthy breakfast the day of the interview. Again, this may seem like common sense, but it does make a difference. You will feel more awake, alert, and ready to go! 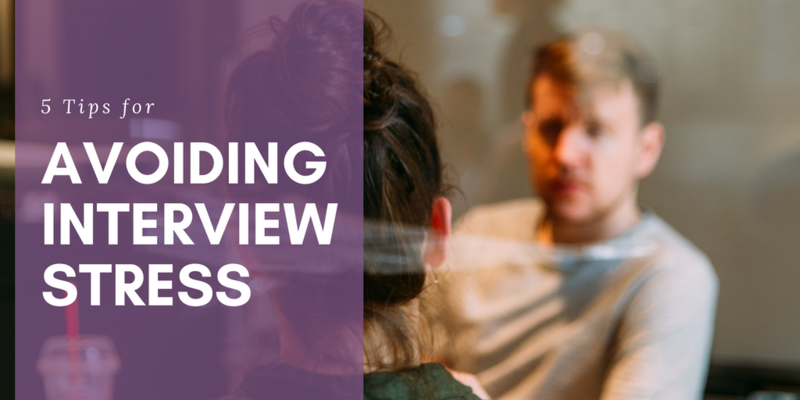 Review common interview questions ahead of time. You have probably heard the saying, “practice makes perfect,” and I think that practicing some of your answers to the most common interview questions ahead of time can only help you. It is always good to arrive 5-10 minutes before the scheduled time of your interview, because this not only shows the interviewer that you are organized, but it can help calm your nerves. In those few extra minutes, I like to take a couple deep breaths before walking in for the interview. I always seem to feel better and less nervous when I do this! Sometimes thinking negatively can affect how well we perform in the interview. Some of the negative thoughts you might think are, “I have to land this job or else,” or, “I am going to mess up and never be hired again.” It is thoughts like these that can add more stress to the interview process, so it is important to think positively! As I mentioned before, it is important to think positively about your interview. Another thing you can do is focus on success and really think about you doing your best and succeeding. If the position is meant for you, it will be! If you do not get the job, consider this a learning experience for the next interview, because there will always be something else. If you are currently stressing out about interviews you have coming up, contact us at Purple Ink. We would love to help you prepare! Or, if you are looking for job opportunities, please check out our job board!